Nest Artisan Guild member, Threads of Peru, was recently awarded the Award for Sustainability in the Universe of Luxury in Latin America in the Fashion and Accessories category. 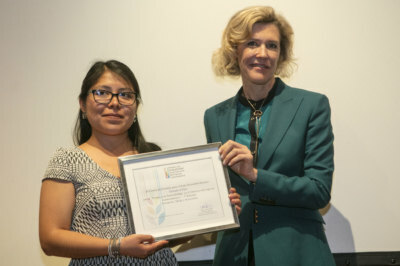 Ligia Gómez, Threads of Peru’s Project Coordinator, travelled to Buenos Aires in late October to receive the award and to participate in a two-day event leading up to the ceremony. Her trip kicked off with a toast by Solantu, award sponsor and member of the board. This was followed by a dinner hosted for all winners, sponsors, and the board of directors at iLatina Restaurant. On the following day, Ligia was invited to a fileteado workshop to learn the traditional Buenos Aires painting technique. In the afternoon, she arrived at INSUD (Innovation, Sustainability and Development group) where the award ceremony took place. Guests included the press, leaders from the business community, government representatives and supporters of INSUD. It was a wonderful opportunity for Ligia to speak with a community of people interested in learning more about the Threads of Peru model, approach, and commitment to cultural preservation through craft. The ceremony began with the presentation of a book written by the founder of the award, Miguel Angel Gardetti. 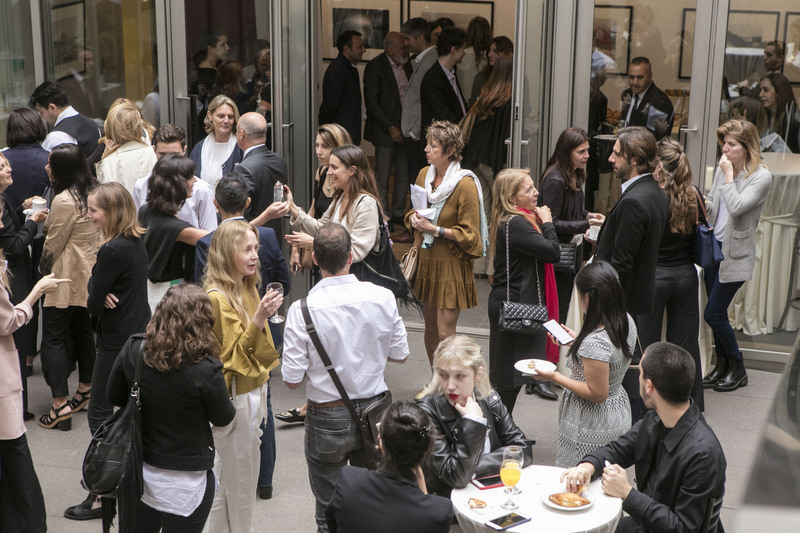 This was followed by a round table discussion on Sustainable Luxury, after which, each winner was introduced: a marvelous hotel in Chile, a Peru-inspired cosmetics company, makers of the most expensive chocolate in the world, and none other than Threads of Peru!